The book is great for those interested in language and culture differences. If you travel to the U.K., or any British-influenced destination, you might want (or need) to know that "the loo" means the bathroom, the "bonnet" is the hood of a car, and much, much more. 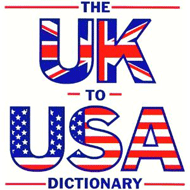 In A to Z (or Zed) format, the dicitonary lists terms and expressions that vary between British and American English. It also has conversion charts, plus basic information on rhyming slang, pronunciation and spelling. 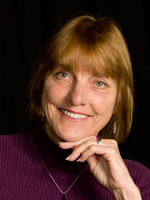 Claudine Dervaes is a well known travel author who collaborated with John Hunter on this handy little book for travelers, anglophiles, and companies that have dealings in the U.K. and U.S.A.